Join The Lost Colony on Wednesday, July 11 for a preshow “Talkback” with Music Director McCrae Hardy. The preshow Talkback will begin at 7 p.m.. This is McCrae’s sixth season as music director. McCrae Hardy was the first musical director for the North Carolina Theatre in Raleigh and held that position from 1984 to 2005. In 1995, he was awarded the Raleigh Medal of Arts “for Extraordinary Achievement in the Arts.” McCrae served as musical director and orchestrator/arranger for Unto These Hills in Cherokee for nearly three decades. 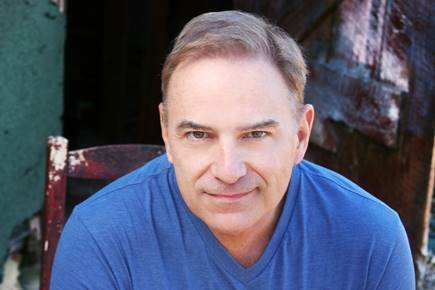 He served as arranger and music director for the Branson, MO run of Patsy, a tribute to the legendary Patsy Cline. He was music director/arranger/conductor for several Duke Children’s Classic Productions in the mid-1990s. He has been a guest conductor with the NC Symphony and music director for Pittsburgh CLO’s A Musical Christmas Carol. McCrae is currently conductor of the Triangle Youth Symphony in Raleigh. Raised in Yadkin County, he attended The University of North Carolina at Chapel Hill. First staged in 1937, The Lost Colony (a 501-c3 non-profit) is the nation’s premier and longest-running outdoor symphonic drama. Written by Pulitzer Prize-winning playwright, Paul Green, The Lost Colony’s 2018 season, sponsored by PNC, runs through Aug. 22 at Roanoke Island’s Waterside Theatre, on North Carolina’s Outer Banks. Curtain time is 7:45 pm. For tickets and information, go to www.TheLostColony.org or call (252) 473-6000.